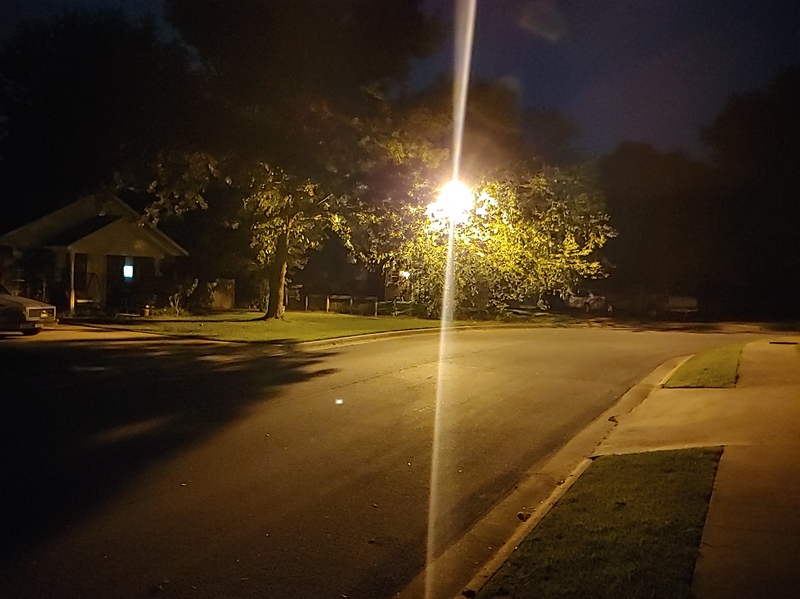 Professional reviews of the LG G7 ThinQ often mention that the LG G7 ThinQ can produce mediocre low-light photos. Having one in hand, I decided to make a quick comparison with a Nexus 6P. 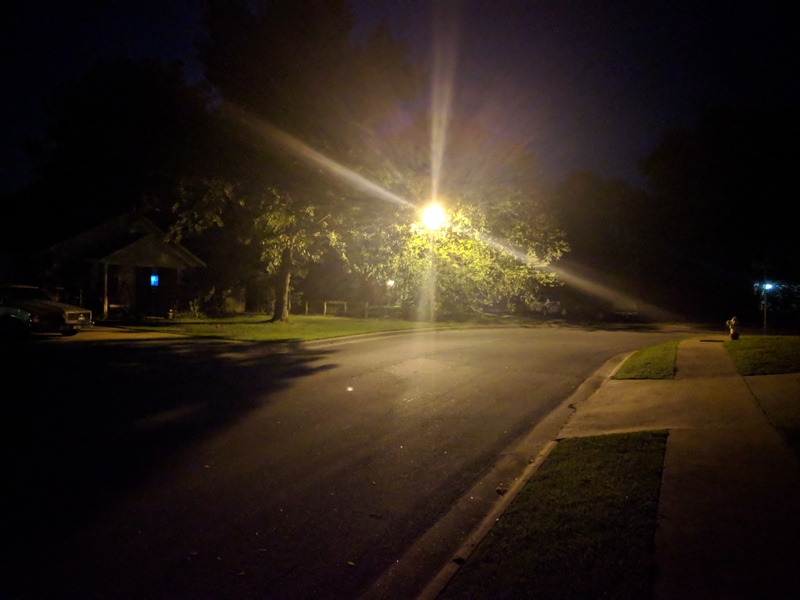 The LG G7’s standard camera produces comparable night photos to the Nexus 6P. The G7’s photos are brighter and catch more detail, however they tend to lose the contrast between the light and the shadows. 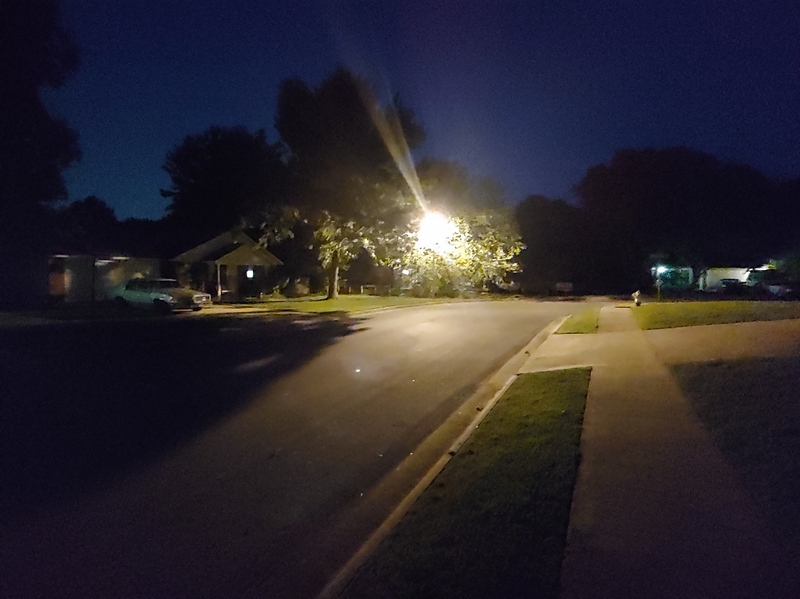 They also have a lower resolution, which makes sense given that the G7’s low-light camera mode, which is on by default in low-light, combines pixels to produce a better image. The G7’s wide-angle camera performs very poorly in low light, but considering that many other phones don’t have this camera to begin with, it’s still a beneficial option for daylight shots.